Hylomar Ltd is a specialist formulator and manufacturer of HYLOSIL silicone sealants for use in gasketing, sealing, bonding and coating in automotive and industrial engineering applications. HYLOSIL silicones are high quality formulations developed to meet the outstanding performance required by our automotive and industrial manufacturing customers to exacting specifications. Hylomar Ltd specialises in formulations that are resistant to oils and high temperatures - the conditions that are present in engine and gearbox applications. Low viscosity silicones have been developed for coating applications in high specification defence applications and the fibre optics industry. Gasketing: HYLOSIL silicone sealant can be used to produce FIP (Formed In Place) gaskets either by semi-automatic equipment, cartridge gun or direct from a tube. FIP gaskets reduce large stock holding of different types and sizes of conventional gaskets. 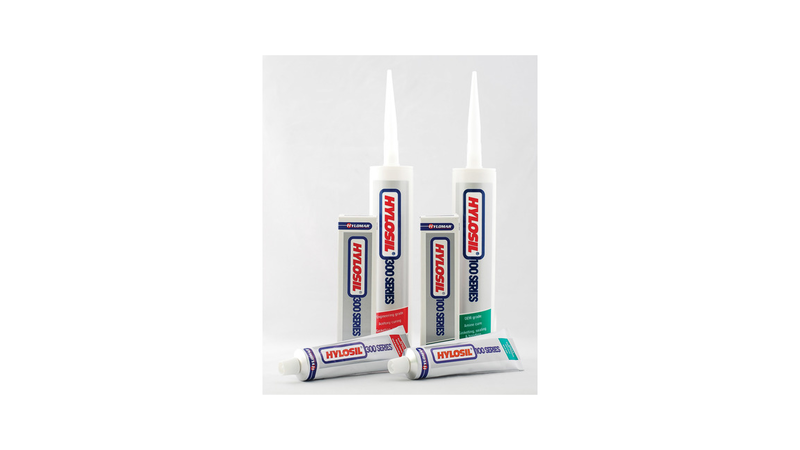 HYLOSIL silicone sealant is able to withstand thermal cycling, vibration and mechanical shock ensuring a high performance seal. Machining costs can be reduced due to its excellent gap filling properties. Typical applications include crankshaft housings, sumps, gearboxes and water pumps. Sealing: HYLOSIL silicone sealants remain flexible when fully cured and have large gap filling capabilities. This makes them ideal for sealing applications. The excellent dielectric properties, which are retained over a wide temperature range, make HYLOSIL silicone sealants ideal for sealing industrial and domestic equipment. Typical applications include sealing industrial safety switches, electrical appliances, cooker hobs, pipe connections and air conditioning units. Bonding: The high strength yet flexible nature of HYLOSIL silicones make them ideal for bonding applications. They are particularly suitable for high temperature or large gap filling and where joint movement is prevalent. Typical applications include oven door and steam iron assemblies.